Evolution of Homo Sapien - Please DO NOT PAY ATTENTION to the months/days/years! Just look at the distance between the points! Read the descriptions to see how many years ago these organisms/creatures evolved! These are the cells that are considered the first and most basic forms of life. 2,000,000,000 years ago, these more complex cells with specialized parts evolved. 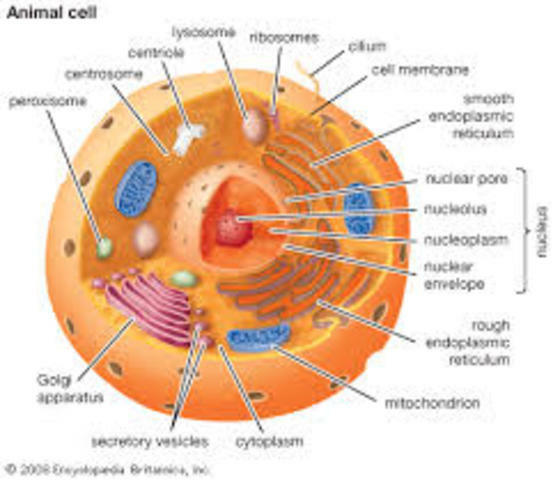 These were the first cells to have a nucleus. 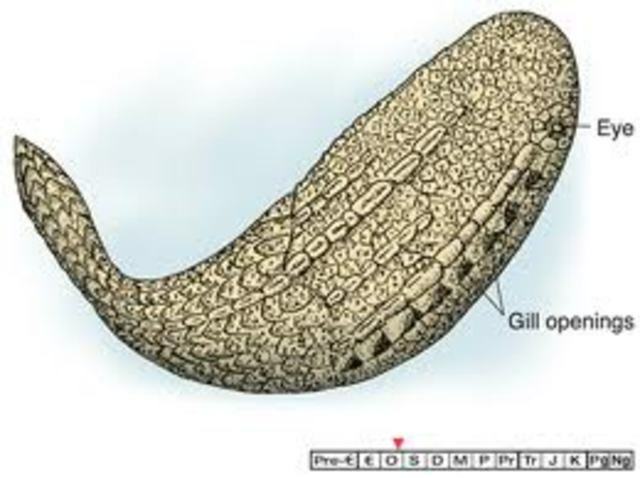 900,000,000 years ago, these types of cells came on to the scene and were the first type of cells that had the ability to "stick" together and form colonies - creating a basis mor multi-celled organisms. 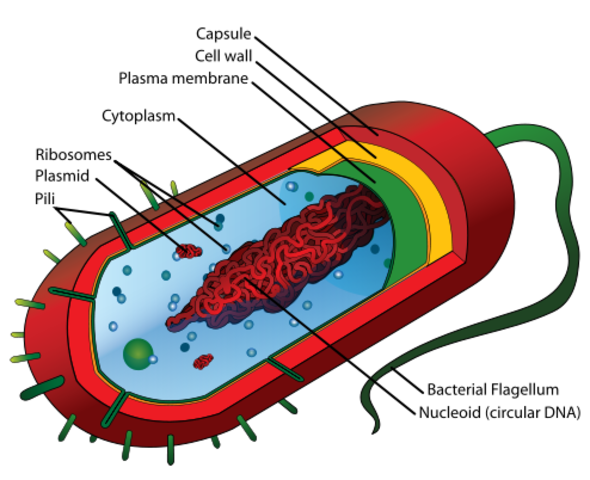 These were the first true multi-cellular organisms. They functioned much like the sea sponges of today. 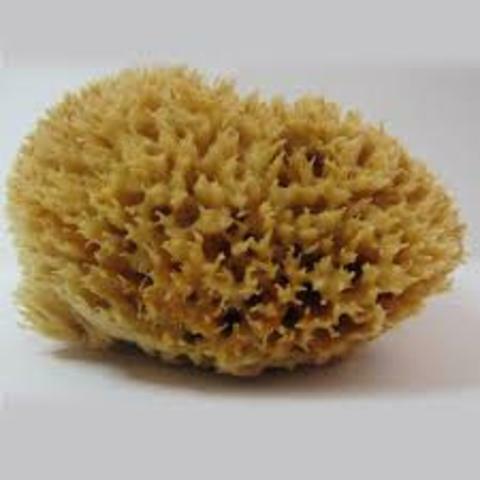 Sea sponges were organisms that had partially-differentiated parts. 580,000,000 years ago, cndaria evolved. 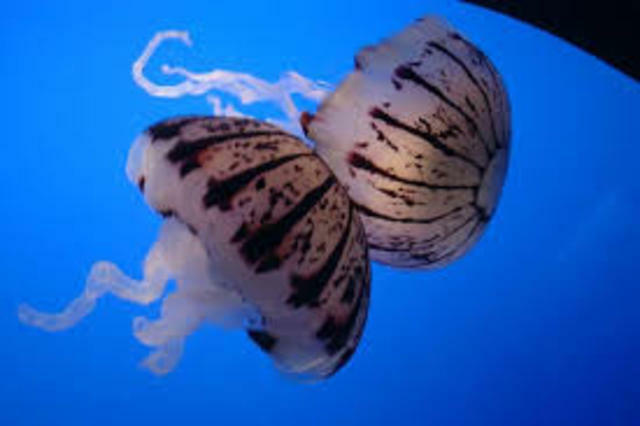 These jellyfish-like animals were the first that had the ability to move about freely in the water due to the development of muscles and nerves. 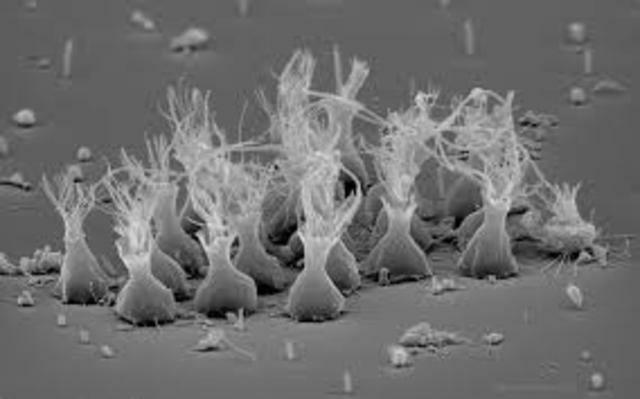 550,000,000 million years ago, these first animal-like organisms to have a brain, evolved. 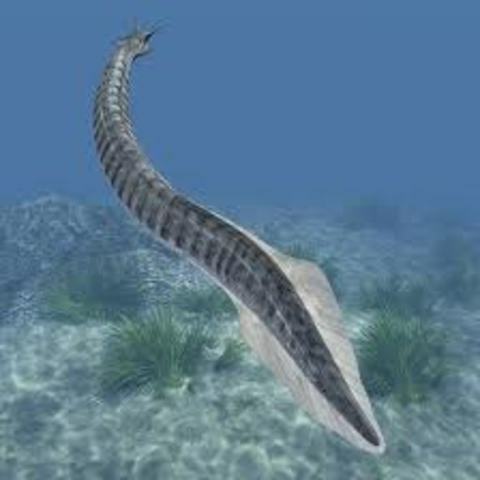 530,000,000 years ago, this eel type of creature evolved, having a much more advanced nervous system than any creature that came before it. 505,000,000 years ago, this fish with a backbone evolved. However; these fish still did not have fins! 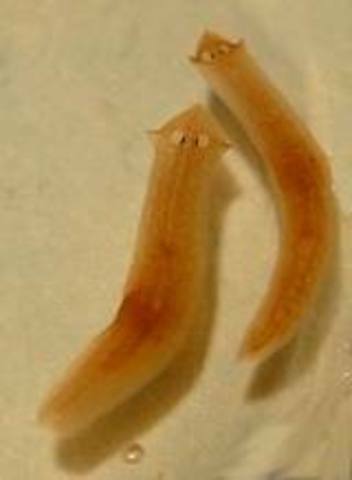 480,000,000, these firs fish to have fins could be found in the Earth's Oceans. These fish also had a jaw, and a plate protecting their heads. 365,000,000 years ago, these fish evolved in more shallow and swampy waters. They had 4 fins and upwards facing eyes. 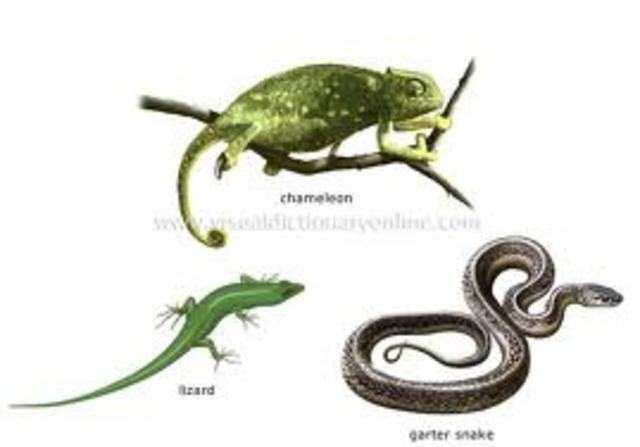 Their front limbs eventually evolved to bend backwards and their back limbs to bend forwards. 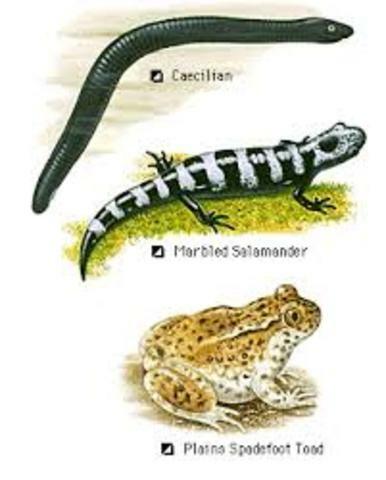 315,000,000 years ago from the early tetrapods, the first amphibians evolved. These organisms were able to live both in water (primary) and on land. At this stage, lungs were beginning to develop in organisms. 300,000,000 years ago, these tetrapods were the first animals to live primarily on land and also to laye their eggs on land. 220,000,000 years ago, mammals evolve. 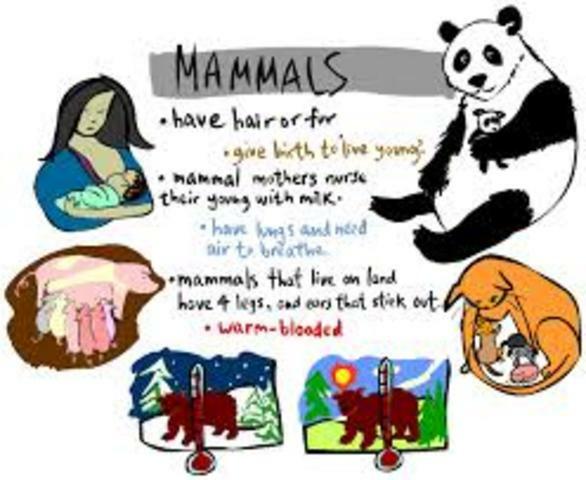 These animals live on land, are warm-blooded, have lots of hair, give birth to live young, and feed their babies with milk. 65,000,000 years ago, the first primates evolve, and eventually develop opposable thumbs for swinging in trees. The primates enter the evolutionary scene right around the same time the dinosaurs become extinct. 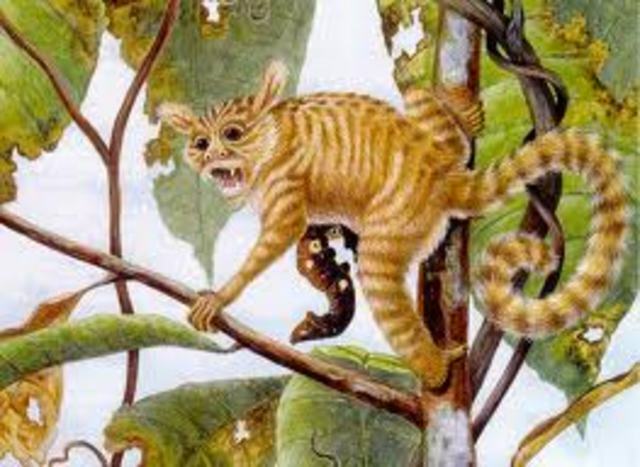 47,000,000 years ago, this "transitional" primate evolved and has recently been discovered as the evolutionary shift between the early primates like lemurs and the more advanced, later arriving primates like apes. The Darwinius had forward-facing eyes. 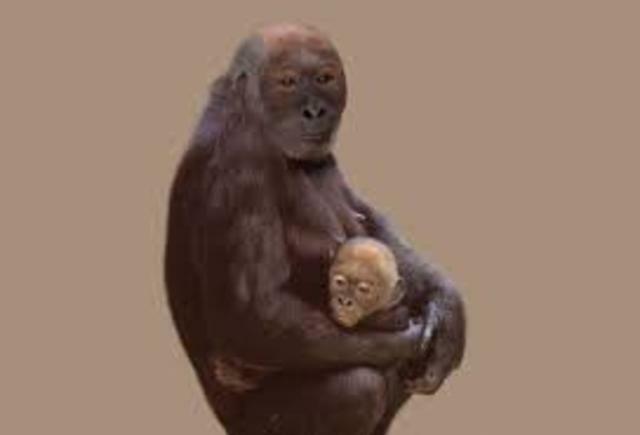 13,000,000 years ago, this newly publicized creature evolved, and for now is considered to be the common ancestor for all of the great apes. The great apes are all larger, stronger, more intelligent, and more social than the other primates. 7,000,000 years ago, this creature, nicknamed "Toumai" evolved, and may represent the last common ancestor shared by humans and chimpanzees. Toumai had a larynx, which would allow for more complex and varied speech and communication patterns. 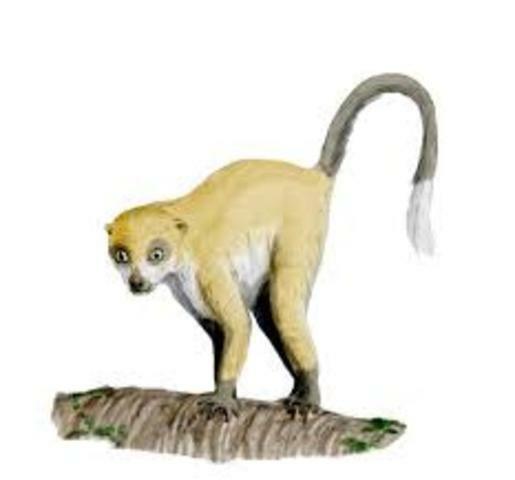 4,400,000 years ago, this organism, nick-named "Lucy" is considered to be the first example of evolutionary bipedalism, or the first creature that was able to walk on 2 feet. 2,500,000 years ago, the first human ancestor evolved. 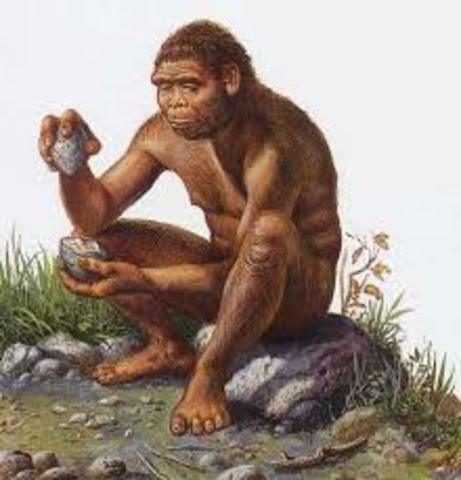 The homo habilis had larger brains than their predecessors, ate more meat, and were the first creatures to use stone tools. 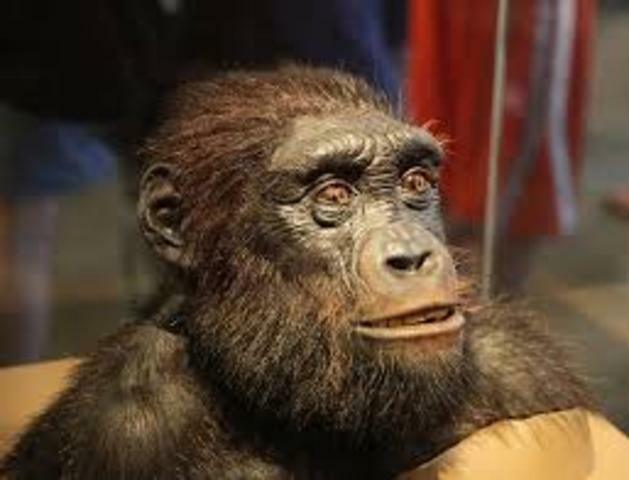 1,700,000 years ago this human ancestor evolved. 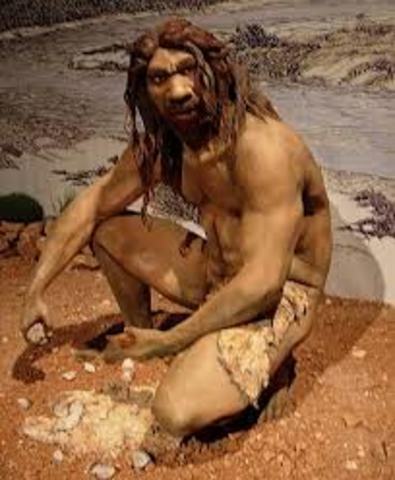 Its arms were shorter, like modern humans, and it had less body hair and the ability to use fire. 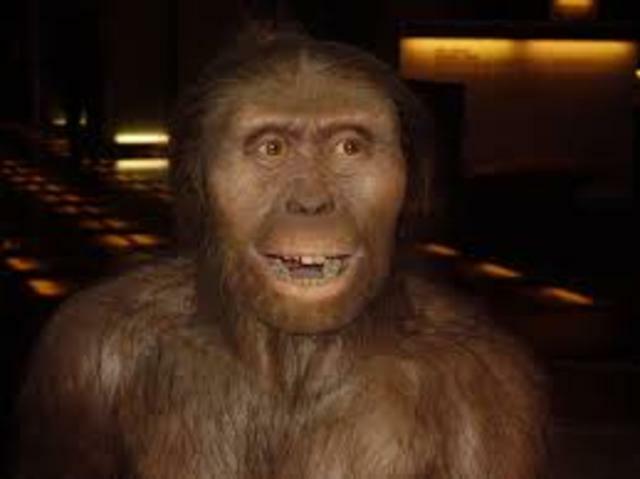 This was the first human ancestor to both live entirely on the ground (not in trees whatsoever) and leave Africa. 500,000 years ago this ancestor of the Neanderthals (the last major human species to exist with homo sapiens) had a larger brain and used more advanced tools than his predecessors. 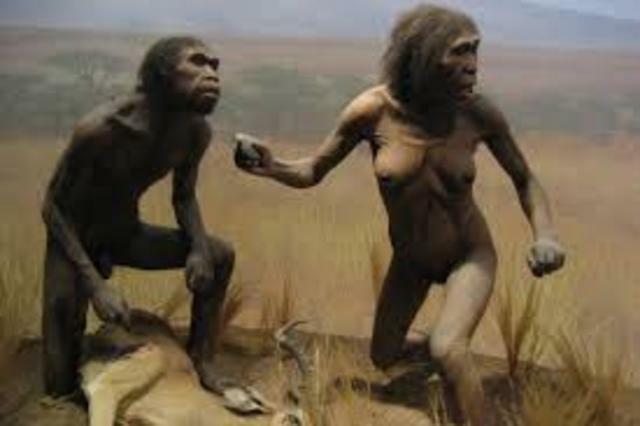 100,000 years ago the first biologically-modern humans evolved in Africa. 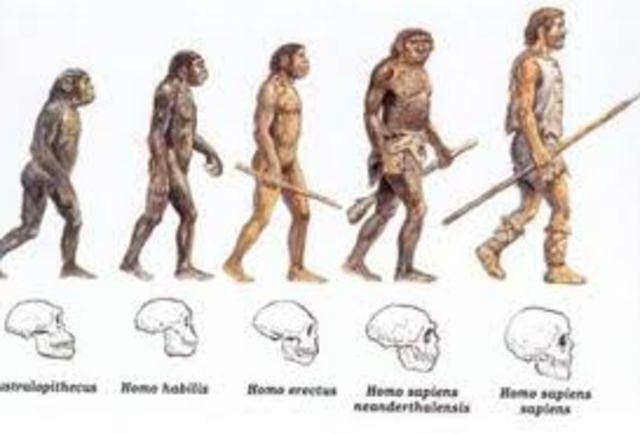 However; it is not until only about 50,000 years ago that homo sapiens developed "modern" abilities like arts, societal customs, religion, more advanced language and communication, and many other more developed skills.